The ARISS contact on Tuesday 16 October 2018 at 12:04 UTC (14:04 CEST) 88 deg with OR4ISS and ON4NOK St-Jozef College (Turnhout, Belgium) was successful. Astronaut Alexander Gerst KF5ONO answered 11 questions from students of St-Jozef College in Turnhout, Belgium. On October 15 and 16, 2018, the ARISS-USA Education Summit was held at College Park Airport and Museum Conference Center (Maryland, USA). It was an ideal opportunity to enhance STEM Ideas through displays and demos. Dan Barstow, KA1ARD, presented the CASIS Space Station Explorers Program. 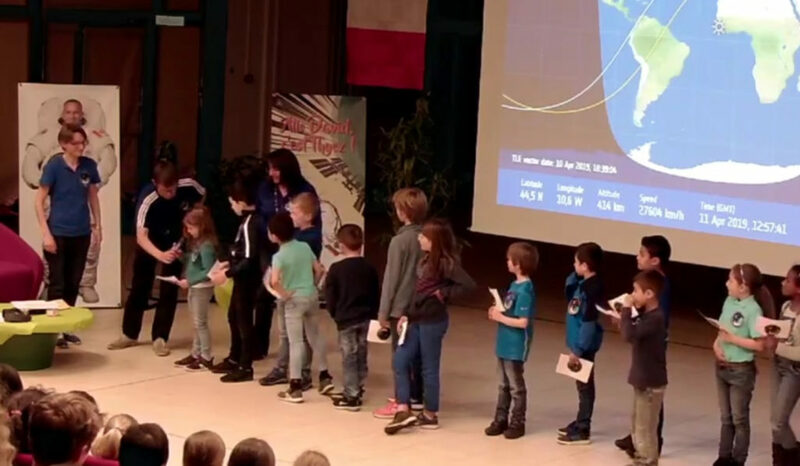 During this summit the educational aspect of ARISS contacts was illustrated with examples by SSE participant organizations such as Magnitude i.o, Student Spaceflight Experiments Program, Storytime from Space, ISS Above, Tomatosphere. 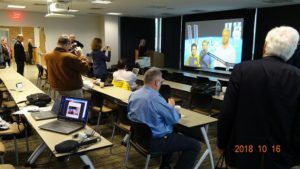 During their break the participants of the summit watched live the ARISS contact with OR4ISS (Alexander Gerst, KF5ONO) and between ON4NOK, St-Jozef College in Turnhout (Belgium) at 12:04 UTC on Thu 16 oct 2018. 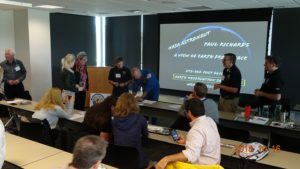 The summit ended with a tour in NASA’s Goddard Space Flight Center and a visit to the ARISS telebridge ground station K6DUE. Jan, ON7UX operates the ARISS telebridge ground station K6DUE (NASA’s Goddard Space Flight Center). 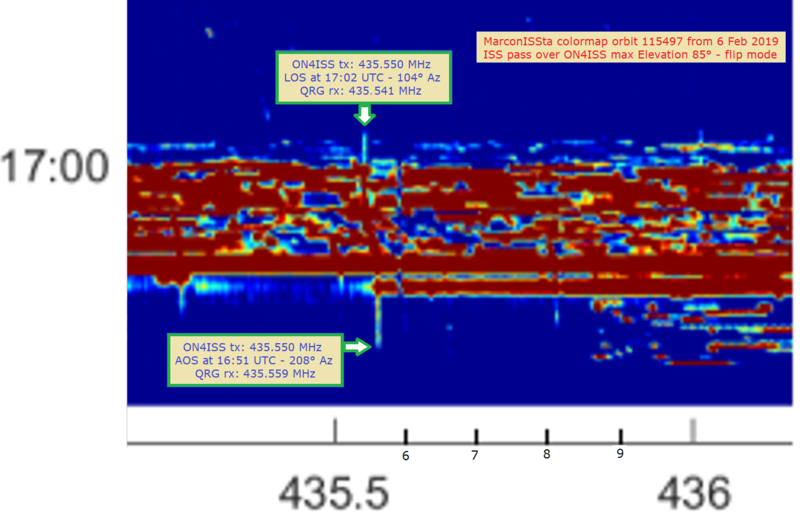 The ARISS contact on Tuesday 02 October 2018 at 17:45 UTC (19:45 CEST) 88 deg with OR4ISS and Pell Elementary School, Newport, RI USA, via ARISS telebridge ground station ON4ISS (Aartselaar, Belgium) was successful. Astronaut Ricky Arnold KE5DAU answered all 15 questions from students of Pell Elementary School is Newport, Rhode Island’s. The event came during the UN’s World Space Week, all in the name of STEAM education. Governor Raimondo marked the occasion, and even got to ask some of the students’ questions with them. The ARISS contact on Monday 2018-08-27 at 08:06 UTC 88 deg with OR4ISS and Shri Timli Vidyapeeth, Devikhet, India, via ARISS telebridge ground station ON4ISS (Aartselaar, Belgium) was successful. AOS was at 13:36:33 IST (08:06:33 UTC) and LOS 13:47:12 IST (08:17:12 UTC). Astronaut Ricky Arnold KE5DAU answered all 16 questions from students of Timli Uttarakhand, India. 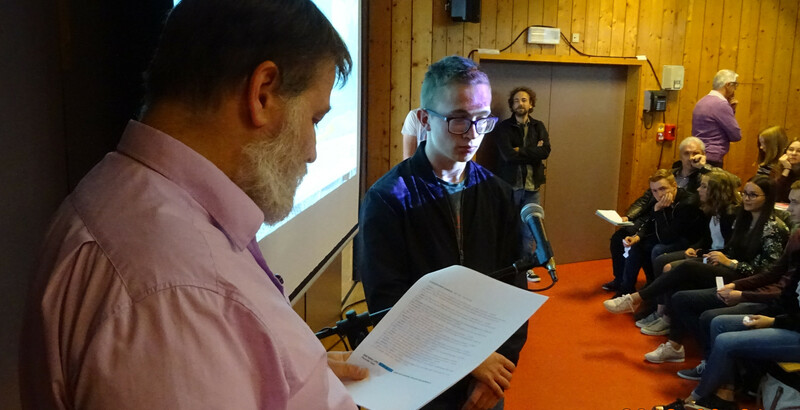 There were about 25 students attending the contact and also some official representatives from nearby villages. The school itself is located in the Himalay area of India, not very high up as they say, only 1700 meters (5577 feet). Some students and invited persons were not able to attend because of the heavy rain in Pauri Garwhal area and road conditions since the last rain showers. Students of GIC Chelusain, GIC Devi khet, Aadarsh Bal Bharti Chelusain and Shri Timli Vidyapeeth participated in this conversation, an historic moment for Uttarakhand, India. 1. New members and outgoing members. 2. Financial report 2017 and discharge to the treasurer. 3. Approval of the 2018 budget. 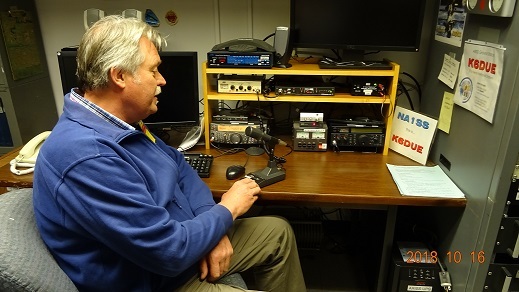 On October 14th 2017, at the AMSAT-UK International Space Colloquium in Milton Keynes, Kenneth Ransom N5VHO told about all aspects of his job. He explains what goes into scheduling an ARISS school contact and told about his experiences, his daily struggle, to be able to realize requested ARISS contacts. It is an interesting lecture, she takes 45 minutes, there are a few technical problems with the microphone, but Kenneth solves that practically. Questions are plentiful, Kenneth repeats the question and gives a clear answer. View it until the end of the lecture.